“My name is Becky Johnson. I am Navajo/Ojibway from Shiprock, NM. My clans are Ozei Tachiini born for Tohani. Nakai Dine shi cheii and Redlake Ojibway shi Nali. I am a survivor of sexual assault, and one of my healthy outlets is running. April is Sexual Assault Awareness Month, and for the past three years, I have been hosting a 5K race and One-mile walk. This year will be the 4th Annual race which is called Silence No More. The 5K race is held in Kirtland, NM in the area of Twin Peaks. The 5K race is dedicated to all survivors of sexual assault. When I decided to host this race years ago, I felt I wanted to share my love for running and at the same time honor those who have survived. Growing up I dealt with the trauma of Sexual Assault and often spent time trying to forget it in an unhealthy way. I invite you to come out and support myself and the many other men, women, and children who have or are going through the trauma of Sexual Assault. 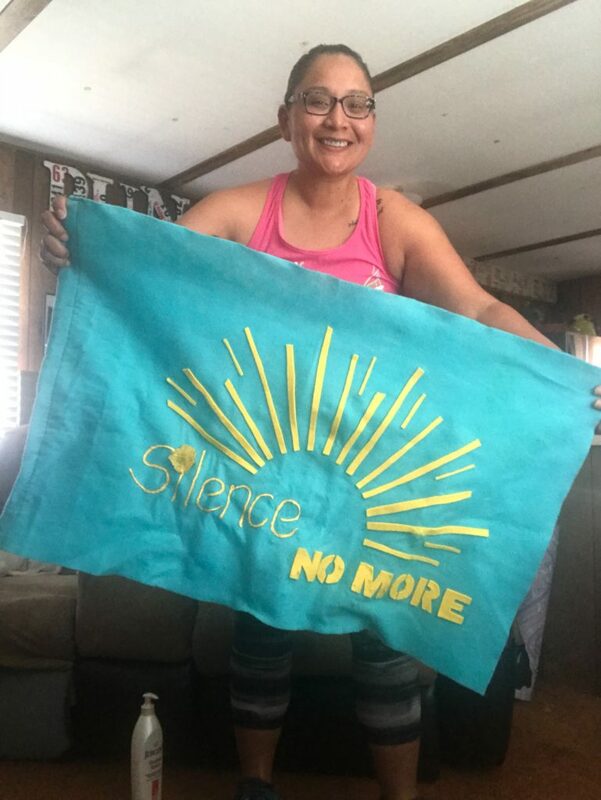 The event is free, and without the help of several people such as the Coalition to Stop Violence against Native Women, it wouldn’t be possible. This year the prizes for the top finishers for the 5k run will be donated by Herbert Stash. T-shirts will be provided to the first 50 registered runners/walkers. 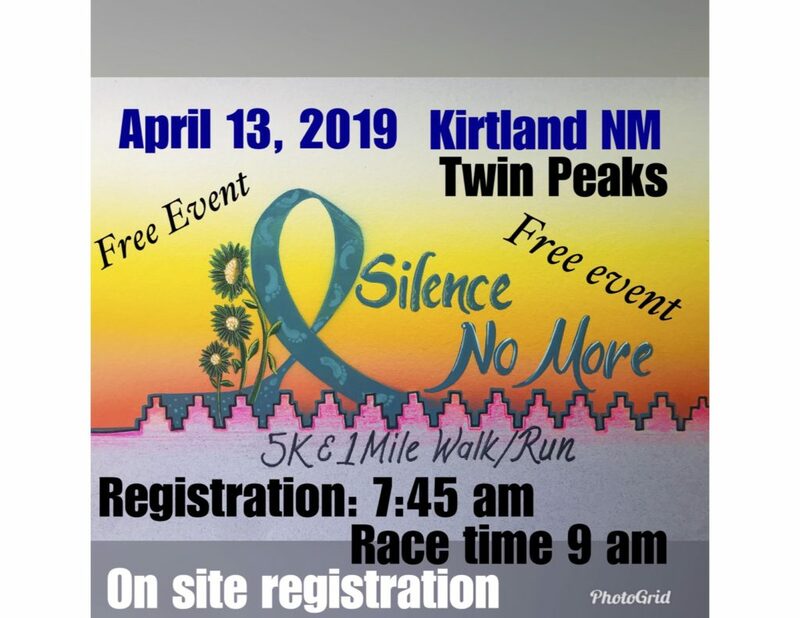 So, Save the date April 13, 2019, on-site registration begins at 7:30 am Twin Peaks, Kirtland NM race start time will be at 9 am there will be snacks and water. On-site registration will begin at 7:45 AM.